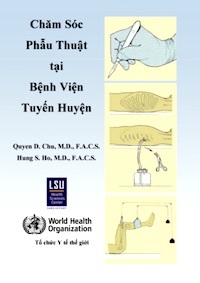 The Vietnamese translation of the "Surgical Care At The District Hospital" manual by the World Health Organization (WHO) has been developed as a practical resource for individual practitioners and for use in undergraduate and postgraduate programmes, in-service training, and continuing medical education programmes. Thanks are due to WHO, Meena Nathan Cherian, David Spiegel, as well as Quyen D. Chu, Trina Chu, and Hung S. Ho at the LSU Health Sciences Center In Shreveport for making this book available. The original English version can be found at the WHO web-site.